Aspergers, autism / ASD, dyslexia, dyspraxia, dyscalculia, cystic fibrosis, cerebral palsy, alpha mannosidosis, foetal alcohol syndrome, ADHD, anxiety, PTSD / CPTSD, learning difficulties and disability, bi-lateral co-ordination problems, pathological demand avoidance (PDA), muscle weakness and physical disability. I also enjoy specialising in teaching and supporting elderly / mature drivers. I teach in an automatic (electric) car and I have a profile on the specialist Disability Driving Instructors website. The areas I cover in Nottingham vary based on my current availability but include Stapleford, Beeston, Toton, Chilwell, Long Eaton, Wollaton, Bramcote, Sandiacre, Trowell, Draycott, Breaston, Attenborough, Borrowash, Aspley, Strelley, Bilborough and Ilkeston. Nottingham postcodes mainly covered for driving lessons include NG8, NG9 and NG10. Please note I only teach automatic driving lessons but can provide manual recommendations. For more details visit my contact me page. 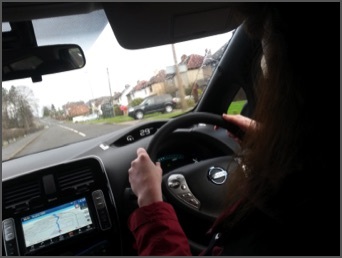 Driving is an essential skill nowadays so it is important to find a way for the pupil to become a safe driver, not to abandon them because they are struggling or difficult to teach. Despite 7 years specialising in SEN it still feels new to me and will be for many years to come but my diary is filled with pupils with dyslexia, dyspraxia, ADHD / ADD, autism, Aspergers, anxiety, PTSD, brain tumours, genetic conditions and various other learning difficulties and additional needs. It requires understanding, patience and determination. It should be as fun as possible because enjoyment promotes learning. I continue to study regarding various learning difficulties and special needs and continuously attend courses but of most value to me is the practical experience I gain from teaching such diverse and wonderful pupils. If you want to chat feel free to ring me. If you can’t get hold of me it just means I’m teaching. Leave me a message and I will get back to you. Sometimes a condition may have potential benefits to the learning process (dyslexia) whereas others may hinder the development (dyspraxia). It can be positive to acknowledge and harness any advantages that certain neurological conditions bring to driving, whilst finding creative and interactive solutions or supports to any complications. Having gained some practical experience with pupils who had known or hidden difficulties I studied various books and articles on special and specific needs. Most notably I read John Browns ‘Driving Includes U’ series of books from which I learnt a lot. Following various forum debates and a course I attended I decided this was the aspect of driving tuition I was most interested in as it gave me a real challenge, not to mention the huge sense of achievement when it all begins to come together! 7 years on I've gained a lot of experience and continue to intensively study and research to expand my own knowledge. It’s important not to label people and fit them into a box, just because one person is autistic doesn’t mean they’ll learn the same as another person with autism / ASD. The teacher doesn’t necessarily need to know the issue (although it can help), they need to be creative, compassionate and patient in finding a learning style which works for their pupil. The course and teaching will need to be adjusted to suit the pupils needs, often presented in bite size chunks and an overall patient acceptance that it might take significantly longer to achieve the goals. Sometimes a 'big picture' approach is suitable (presenting driving as a whole and then filling in the gaps) whilst other times a more systematic and structured approach is relevant. It’s important to understand that each individual learns differently. Applying the same teaching technique to everyone doesn’t work. The teacher needs to be creative in finding a teaching or coaching method that works for the individual pupil (client centred learning). I began to take an interest in more diverse pupils in 2011. I started actively taking on individuals who had known learning difficulties, were highly unconfident or who had previously struggled with learning to drive and were keen to try again. I found myself learning so much from these pupils as they taught me how they learnt best, challenging me to adapt my own teaching techniques. Some of these pupils previously had bad experiences learning to drive, a few having been told by past instructors or family members that they simply “didn’t have what it takes”. The problem is often not the pupil, it may be the teacher who doesn’t understand the pupil and who’s standardised ‘one size fits all’ techniques are failing. This leads to frustration and ultimately the pupil being abandoned. The challenge for the driving instructor is to allow the pupil to work to their personal strengths and to a pace suitable for the learner. Driving is a vast skill incorporating within it many skills (physical co-ordination, memory skills, information processing, awareness and planning, judgement, imagination etc....). Those with learning difficulties and special needs may find that problems arise as driving tends to bring out any known or hidden issues and this leads to frustration, especially if they feel compared to friends and family who got through the process relatively trouble free. 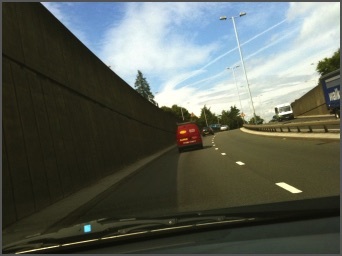 DRIVING TEST : To learn about provisions for learning difficulties / special needs and the driving test click this text. THEORY TEST : To learn about provisions for learning difficulties / special needs and the theory test click this text.